Remember when we reviewed RealFX Racing? At the time we were pretty blown away by that particular method of modernising Scalextric, with smart cars controlled by a physical controller. Although bags of fun, we've since wished for something similar but with a lot more going on; characters for cars, battle modes, supporting app, etc. 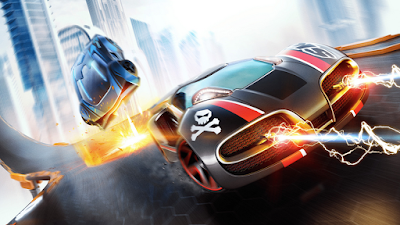 Well, we got it guys, in the form of Anki's latest mini car racing game, Overdrive. Anki Overdrive is a physical, real-world dwelling, car racing game. Included in the box (we were sent the Starter Kit with a few extras thrown in to boot) are track pieces which can be arranged to make eight different racing courses, two cars, a charging dock, and... no controllers. Overdrive is controlled via a very nice looking app, which means that you also need either an Android or iOS smartphone or tablet. As well as wirelessly connecting to your phone (each player needs their own phone or tablet to drive a car) the little cars, which are much smaller than those in Real FX Racing, use infrared to scan the track below them, so they 'know' which way to drive and where all the turns are. The cars can also 'see' where the other cars are on the same track; something very important when it comes to the weapons. Yes, weapons. Because as well as being able to race your friends around the Overdrive track, you can launch Mario Kart-like attacks at them as well. Obviously nothing is actually fired from the small cars, but rather the IR lights can detect hits and damage taken, flashing the lights and causing the smart device of the victim to vibrate. The more races and battles you win, the more points you earn which, just like in a video game, can the be saved to your online account and used purchase upgrades to the cars. Speed, firepower, types of weapons, and the ability to evade attacks can all be added to your vehicle, giving the game a greater sense of continuation and campaign. But what if you're a lonesome type who tends not to hang out with other humans? Fret not, dear isolated chums, for Anki have seen fit to programme the Overdrive system with a very clever AI. The artificial intelligence offered by the app is truly awesome, allowing a single human player to race against up to three other cars. It was a little eerie at first, to see the other vehicles (we were sent two extra cars, Thermo and Nuke to race alongside the two included in the Starter Kit, Skull and Ground Shock) speeding around the track by themselves, and even trying to attack us! The AI will also become more challenging the more you progress and the more sophisticated your car becomes. 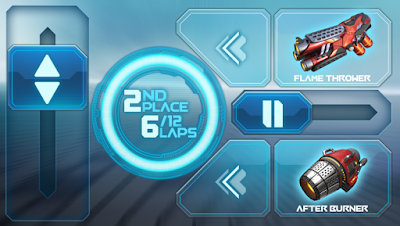 If your vehicle is fully armed with intimidating virtual tech and armour, so will your virtual opponents, making each and every race a challenge. However, as much fun as this was, we found Anki Overdrive to be its very best when battling against real human people. You know; the kind that can laugh and swear and accidentally throw their phone at the wall while playing because their fingers were covered in jam. You know the type. One thing to note about the Anki Overdrive is that it ain't cheap, love. 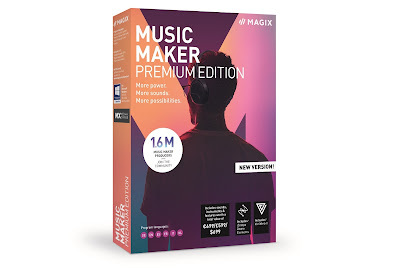 The Starter Kit itself (which is required to play, no matter what cars or configuration of track you want) is £150 at time of publication. That is quite an investment considering the box is mostly plastic track pieces and two small cars. After that additional cars are, again at time of press, around £50 and extra track pieces and accessories are fairly expensive as well. At first we were a bit shocked by the cost, but once we got playing and saw how it all worked seamlessly together, we could actually understand it. 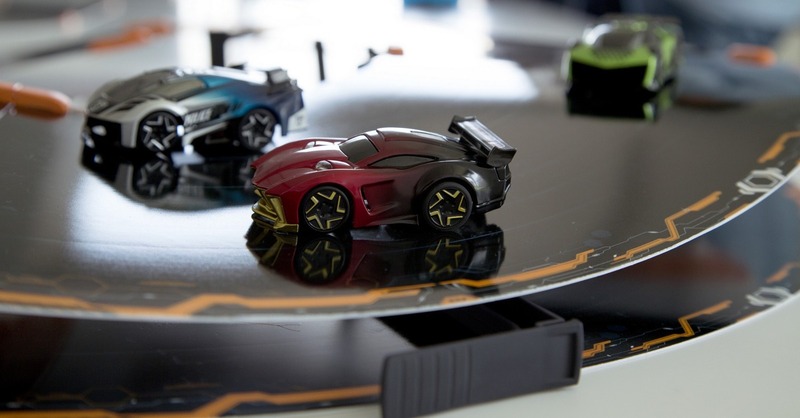 Every element in the Anki Overdrive seems to be packed with smart tech. How they have managed to fill the little cars with so much, while keeping them as small as they are, is a mystery to us. Thanks to the very well-thought-out app, with absolutely oodles of additional background info, character stats, and crazy huge virtual shop for the cars, you could be playing this game for years and still feel like it is new with every race. This is a total winner!